Our bubble belly guy is a great character to show someone how much you care. 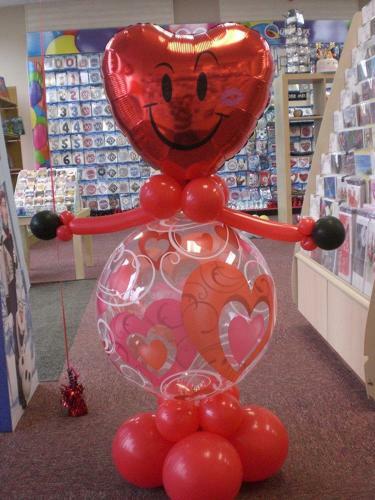 These can be upgraded by adding any foil or bubble balloon, or one of our personalised gumballs. If you are having an event, he is a fantastic talking point, everyone wants to have their photo taken with him. Different bubbles and heads are available to make your character unique. Lots of fun.